Mariano is using Smore newsletters to spread the word online. Fast Five is an Action film about the rescue of protagonist, fllowing theft of train and the theft a vault. There`s lot of romance and action in it. The main characters are Dominic Toretto, Brian O`conner, Mia Toretto and Jobs. Vin Diesel plays Dominic Toretto, Paul Walker plays Brian, Jordana Brewster plays Mia Toretto, and Dwayne Jonhson plays Jobs. Justin Lin directed the film. Brian Tyler and Don Omar played the music in the film. 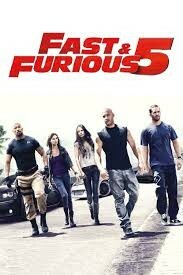 Or favourite film is Fast Five. The story was interesting and fun. the were very good actors and exelent costumes. The special effects were awesome!